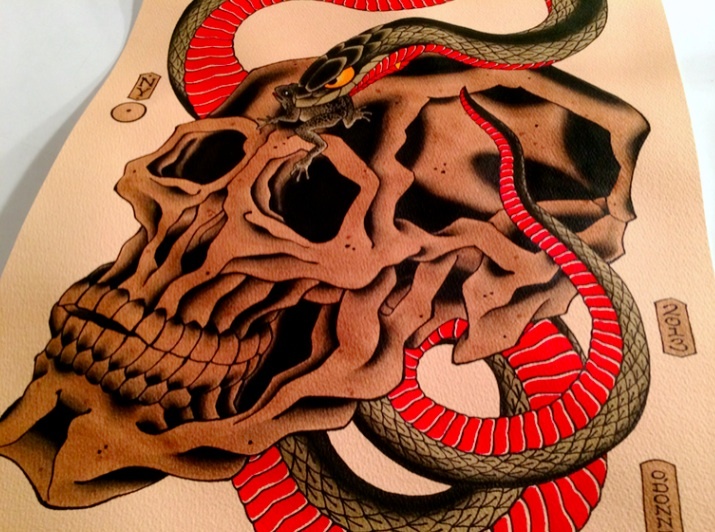 Skull & Snake painting completed. Ink and watercolor on paper. 20x24.